Note: the Zapier integration is available in Pro plans and above. Zapier is an app which allows you to connect two apps that don't have a direct integration. Ex: WisePops and your email. 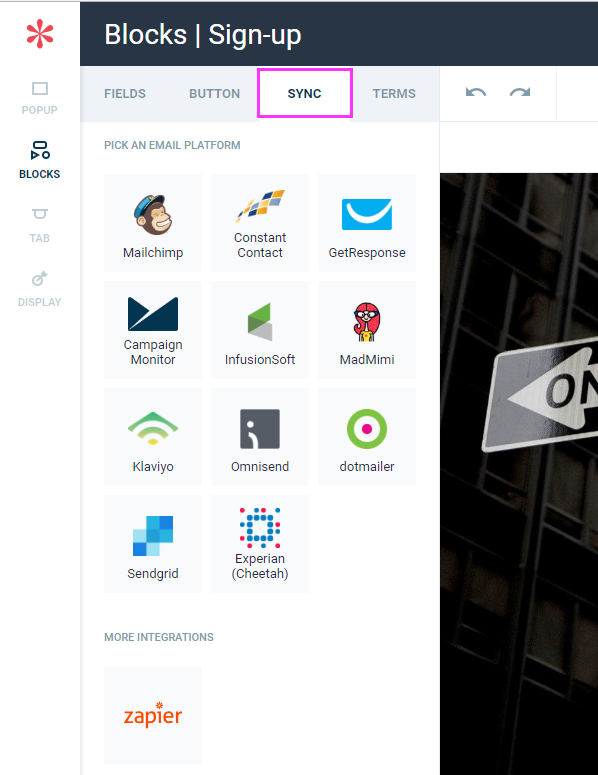 Step 15: in the search field, look for "Email by Zapier"
Step 18: Click "Test" to try the connection. If "Success" is displayed, click "Save + continue" and proceed to the next step. 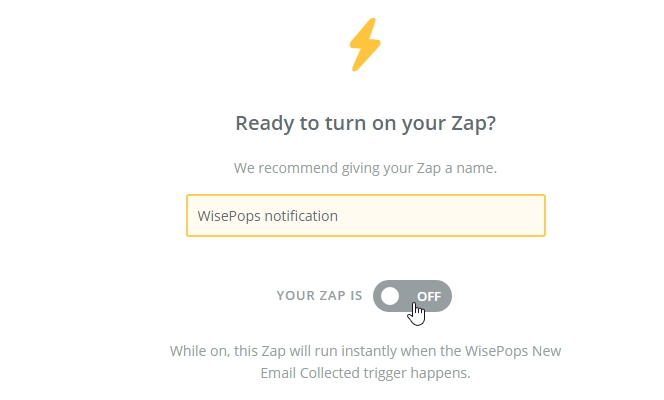 Step 19: Give your Zap a name and click the toggle button to activate it. You'll receive notifications when users sign up from this popup.